You are here: Home » How To Guides » Old A1WebStats System Guides » How to see which Google Adwords clicks go no further than the landing page. The guide How to measure ROI from Google Adwords clicks went into detail about how to analyse Google Adwords Pay Per Click (PPC) traffic return on investment. This guide focuses specifically on how to analyse PPC clicks that go no further than the page they landed on. Generally, if people land on one page and go no further, then it’s a sign of weakness either within the website itself or the PPC advertising. By focusing initially on the biggest areas of concern (i.e. pages that have the most clicks going no further than that landing page, therefore costing PPC budget), you can then move onto landing pages that have less clicks. From the Dashboard select a date range (using the date picker tool on the top right), within which you’d like to gain an insight into your PPC visitors who went no further than the page they landed on. You will be taken to the bottom of the screen where you will see a line of ‘Total Visitor Records’, showing you the number of records that have been extracted below, covering that date range you chose and all from PPC. 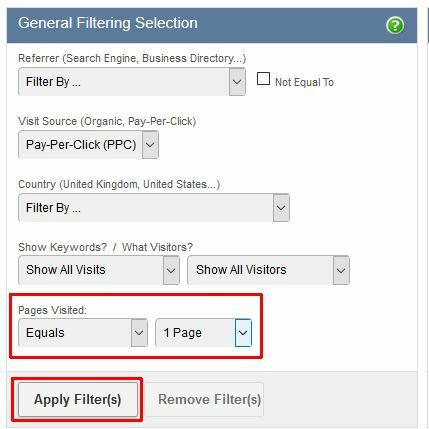 You can now further filter the PPC visitors data so that you see how many of those visitors went no further than the page they landed on. To see this, take a note of the total PPC visitors within the analysis period and then scroll up to the top of the screen to the ‘General Filtering Selection’ part of the page. Within that part of the page leave ‘Pages Visited’ as ‘Equals’ but change ‘All Pages’ to ‘1 Page’ and click on ‘Apply Filter(s)’ below. These are the visitors via PPC who went to only one page. Now take the number of PPC visitors that went to the landing page only and work it out as a percentage of the total PPC visitors. This will give you an overall view of the PPC bounce problem that would benefit from attention. However, more initial value can be gained from insights into the specific pages that have the biggest PPC bounce problem, as detailed in the example below. Having filtered your data by PPC visitors who went to one page only, click on the ‘Export to Excel’ link and open the data in Excel. Sort your Excel data by the Entry Page column and then expand out that column to get clear visibility as in the example below. By scanning down that Entry Page column in Excel you will quickly see entry pages that have the highest number of bounces from PPC. Because those clicks cost money, it’s logical to focus on those initially. 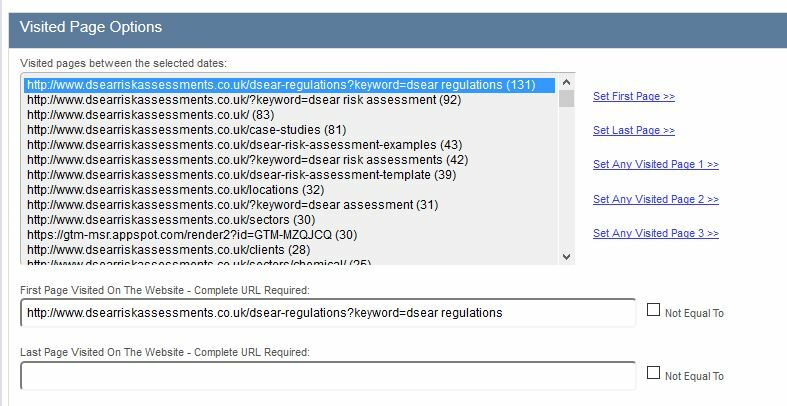 In the example below you can see that http://www.dsearriskassessments.co.uk/dsear-regulations is the type of page to focus on. With knowledge of the worst performing landing page from PPC you can go back to the A1WebStats system and create an advanced report showing only those visitors who landed on that page from PPC and only went to the one page. 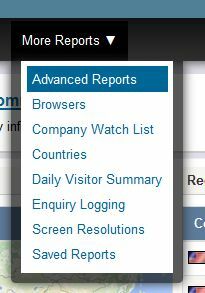 In the example below a page url has been selected from the Visited Page Options part of the Advanced Reports page and the link ‘Set First Page’ has been clicked. 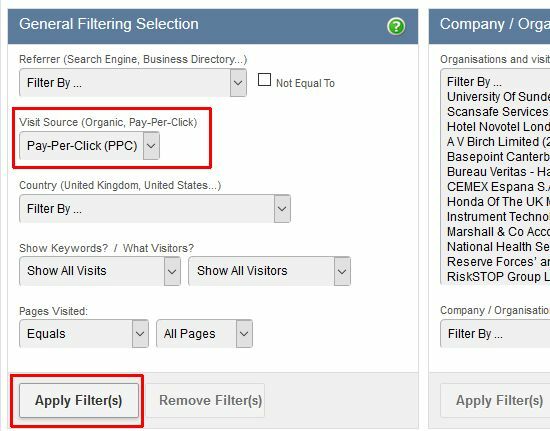 If then selecting only PPC visitors (via the Visit Source part of General Filtering Options at the top of the Advanced Reports page), applying filters then provides data related just to those PPC visitors who went no further than that one specific landing page. Clicks are coming from countries that you don’t want to target. Clicks are coming at times of day that you don’t want your adverts to be visible. (when digging into the Search terms report within Adwords) Clicks happen because your adverts were triggered when people type irrelevant search phrases (but Google made your adverts visible). This point is often missed and is well worth investigating in more detail. It’s also worth noting that you’ll see a lot of clicks from visitors that aren’t identifiable as companies (by their IP address). This doesn’t necessarily mean they weren’t companies (they could be unidentifiable or the people from companies could have been clicking through to the website from outside the business or from mobile devices) but can sometimes indicate that PPC adverts are visible to the wrong types of people. The PPC is bring in the wrong types of people (for which there are numerous explanations). The website landing page is not strong enough. By using the A1WebStats system to first identify the poorest PPC bounces, and then digging deeper into each individual PPC visitor, you will find opportunities for improvement.